It is with deep sadness that we announce the passing of our President, friend and colleague, Rene Fortin. He was an amazing man who loved his family, friends, and the towing industry. Serving as the president of the NH Towing Association, he worked tirelessly for the safety and betterment of all, touching so many lives in the process. Our thoughts and prayers are with his family at this difficult time. Rene will be greatly missed. The New Hampshire Towing Association was organized 45 years ago in 1972 by six tow truck operators from around the state. We continue to to provide many services to the towing industry of New Hampshire. Purpose: The New Hampshire Towing Association is a non-profit organization dedicated to working with the state legislature and state and local law enforcement to improve wrecker operations throughout the State of New Hampshire. Legislation: We continuously work with various legislators to direct their attention to matters that benefit the industry. Education: The Association sponsors training meetings to educate its members about changes in the law and operations. Check our news page for upcoming events. Improve Operations: The Association provides an opportunity to meet owners and employees from other New Hampshire tow companies, and to share ideas and knowledge that can improve the daily operations of your business. Meetings: The Association meets monthly. For information on our meeting times and locations contact us via one of the methods on our contact page. The New Hampshire Towing Association proudly announces that it will be providing TowPartners membership to its members. The NHTA is an association of business people seeking to constantly upgrade the conditions and the image of the towing industry. The TowPartners benefits today include discount programs with well known vendors such as Dell, Sprint/Nextel, Aramark, Mantek and more. You can find more information about these benefits at TowPartners. This program alone will save you 11% on your monthly bills and the discounts from our other Supplier Partners will be equally beneficial to your operations. 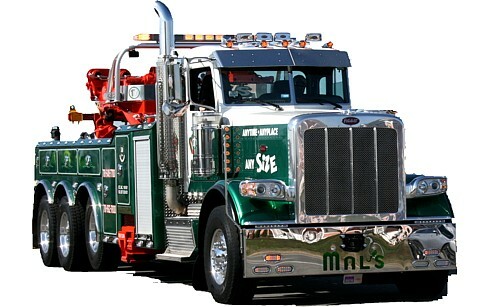 More than 40 years of providing services to the towing industry of New Hampshire. Please call 603-863-4206 to reserve your seat by 9/1/17, no one will be allowed in at the door, no exceptions. Cost for this event will be picked up by the association. See you there! October 10th, 2017 – What you need to know about Carfentanil! Captain Andrew White of the Lebanon Fire Dept. will present precautions when dealing with opioids, and special gloves and masks to be worn for your safety. This will be during the October 10th, 2017, General Meeting for NHTA Members, held at the Red Blazer in Concord. Please listen – it could save your life!